• Wear comfortable shoes and clothes during your day out house hunting. • Limit your daily search to 4 or 5 Crystal Coast properties at a time. After the fifth property, they all begin to blend together. • Eliminate any Crystal Coast homes that fail to meet your search criteria including price range, minimum/maximum bedrooms and baths, and property type. • Keep track of the Crystal Coast houses you’ve seen with a notebook taking notes occasionally of features, qualities, likes, dislikes and other valuable feedback. • Bring along a video camera or digital camera to document each property. • Don’t go hungry. Bring along a bottle of drinking water especially in the summer. • If you have small children, you should give consideration to hiring a babysitter for round one of your Crystal Coast house hunting. • If the property is being purchased as a vacation beach home and you plan to rent the property when you’re not using it, make sure the property has wide rental property appeal with plenty of desirable features located near great amenities. 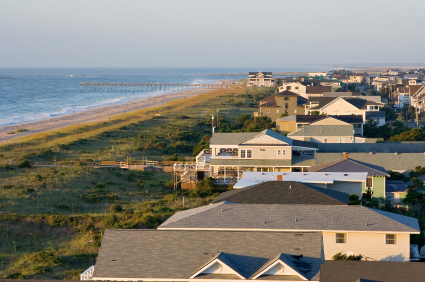 What other Crystal Coast house hunting tips would would you add to this list? Great checklist, pretty universal too!